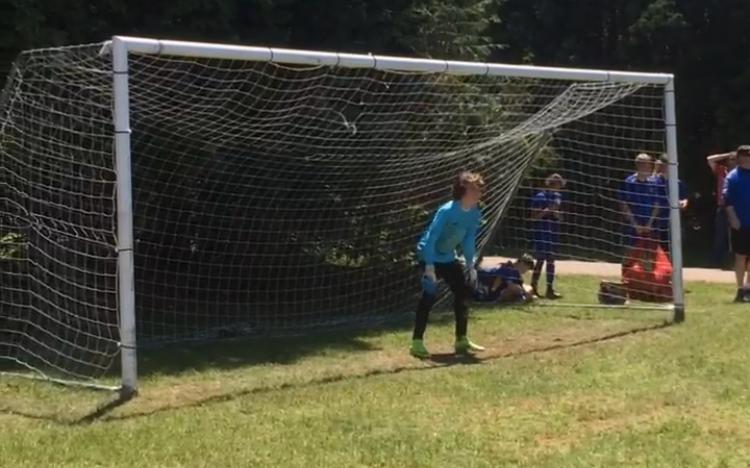 My son Avery has had a dream of becoming the goalie for the NY Elite soccer team for quite some time. This dream became a reality last week. When I received the email inviting Avery to the team I was filled with all sorts of emotions. The first, joy. It took my breath away. The second, pride. He is becoming quite the young man. The third, fear. Fear about a lot of things. Could he keep up... Could I keep up with the rigorous schedule... Could I afford all of the out of town trips... But the biggest... would I be able to raise enough money for him to join the team. It is a prestigious team and it comes at a price. Avery's father had said that he was going to pay the $2,000.00 price tag that comes with joining the team, but he has rescinded his offer at the last minute which has left me scrambling trying to figure out how to make this happen for Avery. It is an amazing opportunity that will change his life, so I am asking for your help. We need to raise $2,000.00 by July 21. Please dig deep in your hearts and pockets to help Avery realize his dream and open up this door of opportunity for him. Many blessings and thanks in advance for your support!